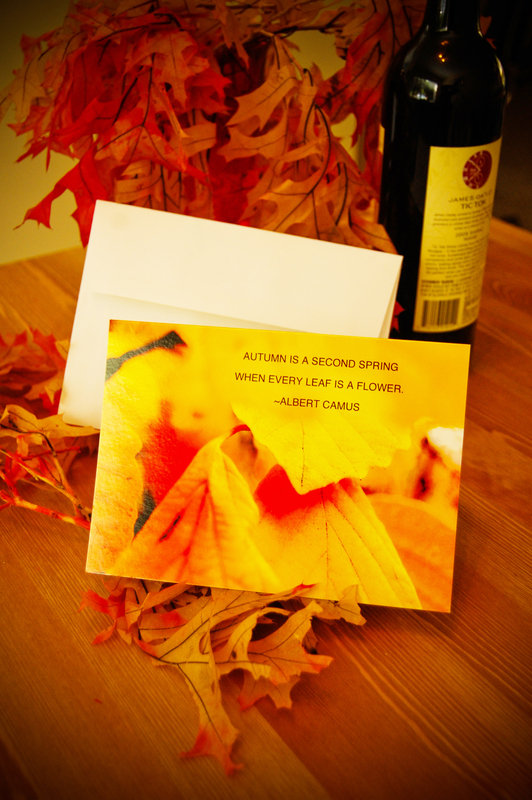 This lovely card and that bottle of wine you’re bringing as a gift to the Thanksgiving dinner you’ve been invited to makes a lovely gift and it’s a great way to give thanks for all of the people in your life who have beaten this terrible disease. Get three 5×7″glossy photo cards made with premium card stock with white envelopes for $15. You can order from the Etsy link below. Posted on October 9, 2012 by triciachatter. This entry was posted in Charity and tagged breast cancer awareness, breast cancer awareness month, breast cancer research, Charity, Photo cards for breast cancer research, thanksgiving cards. Bookmark the permalink. ← Thunder! Lighting! Halloween is Exciting!